Learn how to drive a race car from the industry’s best! 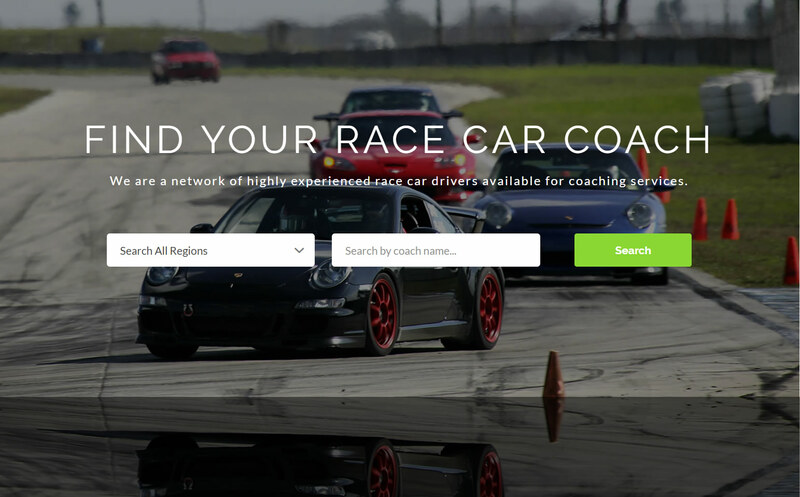 Race Car Coaches helps you find the right driving coach in your area, whether you’re a novice or a pro. It’s like Yelp, but for high-performance driving and racing coaches. And I hate the fact I didn’t think of it before pro racer Ryan Dalziel came up with Race Car Coaches. My first and only experience in receiving coaching input came during SCCA driver’s school in 1990, and by chance, I was fortunate to be paired with Scott Rubin, one of the best road racers in the Bay Area. While his student possessed questionable talent, Scott’s wisdom was invaluable, and went beyond the basics of threshold braking, apexing, and exploring my reasonably meager limits behind the wheel of a Formula Ford. Before I’d turned my first lap in the car, a track walk over Sears Point’s hilly terrain with Rubin unlocked clues that were fascinating—some of which defied expectation. “Exiting the Carousel, it looks like your car will naturally track out to the edge of the track, but it won’t unless you drive it there,” he said. While that nugget might have been obvious to everyone else at the circuit, I was heartened by Rubin’s thoughtful approach to teaching beyond the basics of Racecar Driving 101. I quickly realized I was in exceptional hands, and despite demonstrating a unique skill for spinning, Rubin coaxed me through the school and I went on to win one race before hanging up my barely-used helmet. Having spent a short amount of time as a wannabe racer, the value of Rubin’s deft touch was reinforced a few years later when, as a mechanic and engineer on the pro racing circuit, I interacted with the coaches hired by drivers I worked with. The good ones were easy to spot, and were rare commodities in the 1980s and 1990s. Most were former racers that failed to reach the peak in IndyCar or IMSA, but turned their skills into an artful service that blended their experience and passion for the sport into a commodity that could be hired on a daily basis. The other brand of coach, which I came across on a more frequent basis, involved raging egos and grand self-importance. In select instances, I watched as the coach positioned himself as the star in the relationship, all while bilking the driver out of $1000 or more per day. 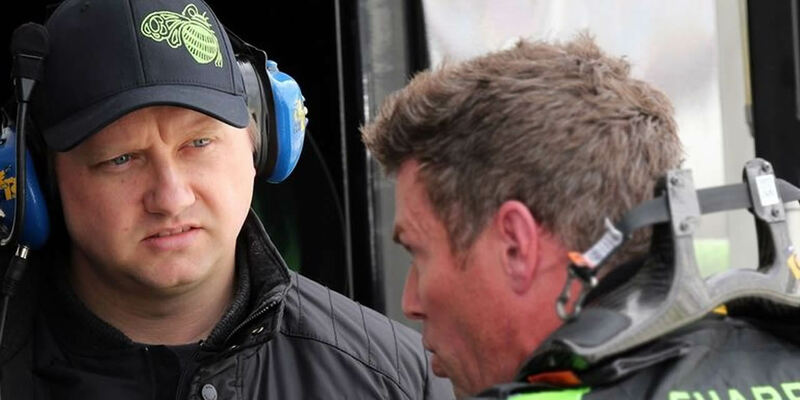 Those recollections came to mind when Dalziel reached out to some of the most respected driver coaches in the country to form his new matchmaking service. 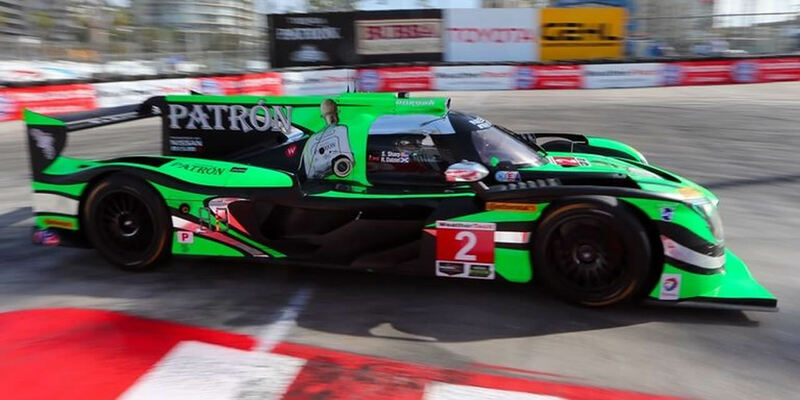 I can’t guarantee all of the people he’s vetted and added to the site will produce the same Rubin-esque experiential benefits or lap time improvements I received, but I can appreciate that Dalziel, who has raced in everything from Champ Car to IMSA, was motivated to assemble an elite group of coaches for pros and amateurs for the right reasons. For Dalziel, who scored the overall win at IMSA’s Petit Le Mans season finale a few weeks ago at Road Atlanta, drawing upon fellow pros/coaches—proven names in the industry—to populate the site’s roster of service providers was easy. To weed out the me-first types, Dalziel says he’s spent a considerable amount of time scrutinizing and evaluating the rest. With the coaching group assembled and live on the site, interested drivers can browse by region, send inquiries to any and all coaches to gauge availability and costs, and decide whether the right fit exists to warrant moving forward. Again, I hate Dalziel for thinking of something I missed. “I’m proud to say we’ve got 45 coaches at the moment, and that’s way more than I expected in less than a month,” he said. “We’ve had some great guys, you could call them big names like Ross Bentley and Mike Zimicki, sign up, and we also have some coaches who I can say are among the best on the planet, but might not be the first names that would come to mind. “David Empringham is the perfect example. He coached me when I was coming up in the sport, and he was beyond invaluable. His analysis, his methodical approach, the calm manner he uses, and all the little things he brings from being a champion driver for decades. That’s what I love about this project so far. The site is still being tweaked, and will soon include a rating and feedback system for clients to share their experiences. Pricing, with the vast range of coaching needs—from HPDE to the top rungs of open-wheel and sports car racing—will vary, and those negotiations are held privately, according to Dalziel. The best news with his venture comes in the form of hostile pushback from a few $3000/day coaches who don’t want their monopoly broken. “I think in every industry, a lot of people will find their own little plans and then try to protect their exclusive world,” Dalziel said. “I haven’t done a lot of coaching the last couple of years because I’ve been racing so much, but I was shocked to see how much the daily rate has gone up—it’s appalling—because a few guys are charging the living hell out of clients that don’t know any better. “The sickening part to me is I know of guys who are earning more for coaching over a race weekend than they would ever make driving in those races. I think it’s disgusting for someone to earn more sitting on the sidelines than if they were risking their lives, and so some of those guys have been trying hard to talk us down to their clients, and it’s all to protect their crazy day rates. Whether it be for a track day, race event, or simulator coaching, our network of carefully screened coaches is at your disposal.